When Disney president Bob Iger first announced the upcoming massive Star Wars expansions for Disneyland and Walt Disney World, a considerable percentage of Star Wars fans was understandably upset that none of their favorite locations from the movie would be represented in the new lands. There won’t be a Hoth, a Tatooine, or an Endor at Disney theme parks, but there will be an entirely new planet, designed and fleshed out by a team of Walt Disney Imagineers and Lucasfilm creatives. That team was at Star Wars Celebration in Orlando today to give the audience in attendance some more information on what may very well be the most highly-anticipated expansions in theme park history. While the panel opted to refrain from giving a name for the new planet, they did comment on its place in the larger Star Wars galaxy. “It’s a remote frontier outpost somewhere on the edge of wild space, a place for us to discover new stories,” continued Trowbridge. 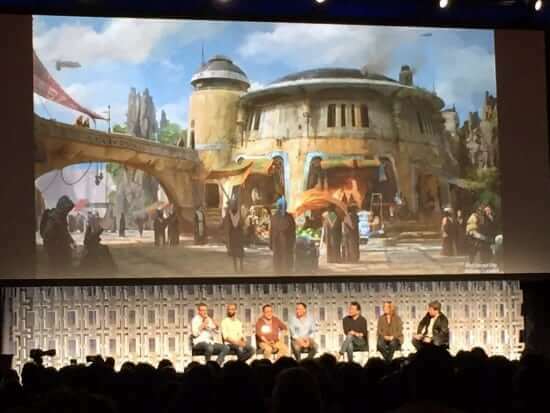 “The entire story team has been working to not only figure out where this place is on the galactic map, but [also] what its history has been throughout galactic history,” said Pablo Hidalgo of the Lucasfilm Story Group. “I’m not going to tell you where on the map it is, but I will tell you that it is on the map,” he continued, reinforcing the idea that this new planet will exist within the established Star Wars lore. I have to say that everything about this sounds wonderful. I would much rather step into an unknown world in a familiar universe than simply visit a hodgepodge of replicas derived from established locations we’ve already seen. 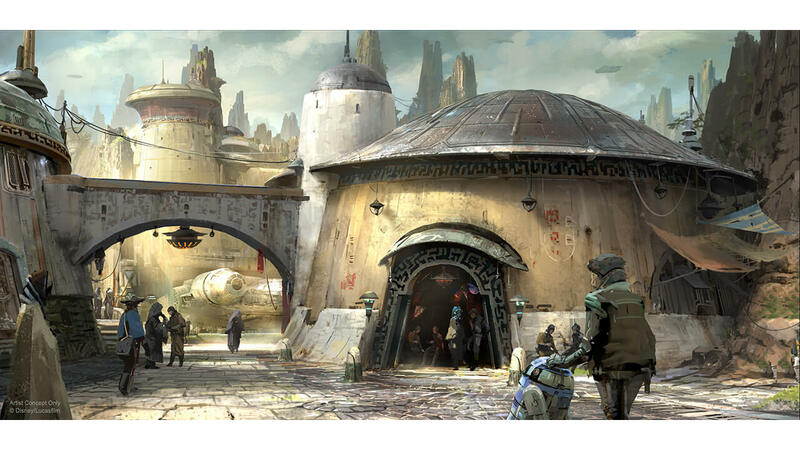 This concept lends intriguing aspects of exploration and discovery to the already deeply-immersive plans for the Star Wars expansions. 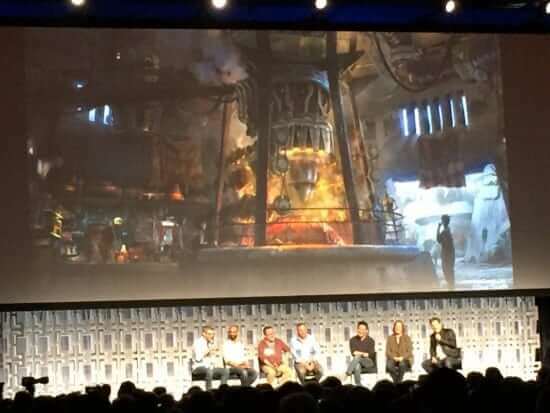 The currently-under-construction Star Wars expansions are currently scheduled to open sometime in 2019 at Disney’s Hollywood Studios park in Walt Disney World and Disneyland in Southern California. The last picture reminds me of The Hobbit at the Shire. Seems to cover all their bases. Will Club 33 have a special restaurant?